You may have seen some types of soilless plants grown anywhere on movies or books and treated it like a science-fiction story. However, this practice (which is so called Hydroponics) has actually been used for thousands of years. 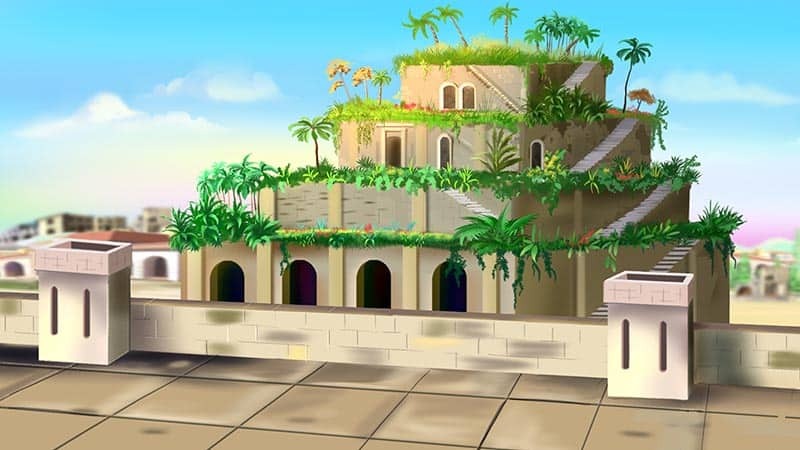 The famous Hanging Gardens of Babylon in around 600 B.C. 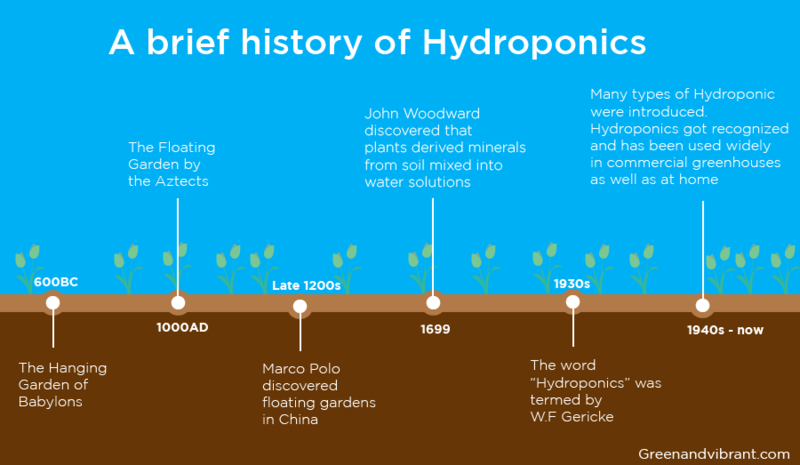 are the earliest record of Hydroponics. These gardens were built along the Euphrates River in Babylonia. Since the region's climate was dry and rarely saw the rain, people believe that the ancient Babylonians used a chain pull system for watering the garden plants. In this method, water was pulled from the river and flowed up along the chain system and dropped to the steps or landing of the garden. Other records of Hydroponics in the ancient times were found with the floating farms around the island city of Tenochtitlan by the Aztecs in the Mexico in the 10th and 11th century. And in the late 13th century, the explorer, Marco Polo noted in his writing that he saw similar floating gardens during his traveling to China. It was not until 1600 that there were recorded scientific experiments done on plants growth & constituents. Belgian Jan Van Helmont with his experiment indicated that plants obtained substances from water. However, he failed to know that plants also need carbon dioxide and oxygen from the air. John Woodward followed to study the growth of plants using water culture in 1699. He found that plants grew best in water that contained the most soil. So he came to the conclusion that it was certain substances in the water derived from soil that led to the plant growth, rather than from the water itself. There was a number of following studies done until 1804 when De Saussure proposed that plants were composed of chemical elements absorbed from water, soil, and air. Boussignault, a French chemist, went on to verify this proposition in 1851. He did an experiment to grow plants in an insoluble artificial media including sand, quartz, and charcoal without soil. He used only water, media, and chemical nutrients. And he found that plants need water and get hydrogen from it; the dry matter of plants contains hydrogen plus carbon and oxygen which comes from the air; plants consist of nitrogen and other mineral nutrients. 1860 & 1861 marked the end of a long search for the nutrient source essential for plants' growing when two German botanists, Julius von Sachs and Wilhelm Knop delivered the first standard formula for the nutrient solutions dissolved in water, in which plants could be grown. This is the origin of "nutriculture". Today, it is called the water culture. By this method, plants'roots were totally immersed in a water solution that contained minerals of nitrogen (N), phosphorus (P), potassium (K), magnesium (Mg), sulfur (S) and calcium (Ca). They are now seen as the macroelements or macronutrients (elements required in relatively large amounts). However, surprisingly enough, the method of plants growing in water and nutrient solution was only seen as experiments and merely used in the laboratory for plant research. Only when the greenhouse industry appeared that interest in the application of the nutriculture practice was eyed on in 1925. Researchers were caring about the issues of soil cultural methods with soil structure, fertility, and pests. They worked extensively to implement the benefit of nutriculture to large-scale crop production. In the early 1930s, W.F. Gericke of the University of California at Berkeley experimented with nutriculture for the production of agricultural crops. Initially, he called this process aquaculture but dropped it after learning that this term has been used to describe aquatic organism culturing. W.A. Setchell recommended the term "hydroponics" to Gericke in 1937. So the name goes. Gericke began publicizing the practice of growing plants in a water solution while he was at the U.C. Berkley. However, he met up with the skepticism from the public and the university. His colleagues even denied the use of the on-ground greenhouses for his study. Gericke declared them wrong by successfully growing 25-foot tall tomato plants in nutrient-filled solutions. The university still doubted his account of successful cultivation and requested two other students investigate his claim. The two performed the research and reported their findings in an agriculture bulletin 1938, titled "The Water Culture Method for Growing Plants Without Soil"
They confirmed the application of Hydroponics but concluded their research that crops grown with Hydroponics are no better than those grown on quality soils. However, they missed many advantages of agricultural Hydroponics in comparison with the cultural practice. The benefits that nowadays any hydroponic growers know by heart. 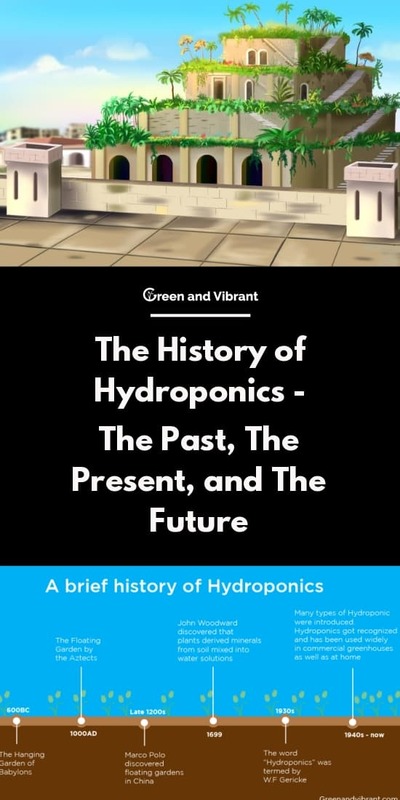 The earliest well-known application of Hydroponic plant cultivation was in the early 1940s when Hydroponic was used on the Wake Island, a soilless island in the Pacific Ocean. This island was used as a refueling stop for Pan American Airlines. The lack of soil meant that it's impossible to grow with the cultural method and it was incredibly expensive to airlift fresh vegetables. Hydroponics solved the issues excitingly well and provided fresh vegetable for the whole troops on this distant island. After World War II, Hydroponic cultivation was still used widely by the military. The U.S. army planted a 22 ha at Chofu, Japan. In the 1950s, the soilless method of Hydroponics expanded to a variety of countries including England, France, Italy, Spain, Sweden, the USSR, and Israel. With the distinct advantages of Hydroponics such as higher growth rate, space saver, water efficiency and better control of pests & disease, it's no wonder that Hydroponics has been applied widely around the world. It has become an indispensable part for any greenhouse growers. Virtually any greenhouse farms use some sorts of Hydroponics for their trees & food productions. Recently, in New Jersey in the USA, a largest hydroponic farm is being built. They are to bring 2 million pounds of fresh, leafy lettuce per year. The Future - Why Using Hydroponics for Farming? There are going to be big challenges for agriculture sectors in the future when food production is predicted to increase by 70% according to the FAO in 2050. Human beings have to achieve this despite the lack of lands, the increasing demand for fresh water (agriculture consumes up 70% of fresh water on earth) and the expecting climate change which can lead to the alteration in temperature, lights as well as the plants and animals' life cycle. Hydroponics is undoubtedly considered as an approach to the future of agriculture. Using no soil, it is a valuable culture method to grow fresh vegetables in countries or any place with little arable land and those whose area size is small yet contains a huge population. Distant places and tourist sites like hotels, resorts can grow their own fresh food hydroponically instead of importing from far away regions. Some successful examples are the West Indies and Hawaii. People have served large tourists with their own vegetable production. We'll expect to have more site like these in the coming time. For the scarcity of water, while desalination technology is in place, people will be able to extract fresh water from the sea to supply for the hydroponic garden as well as agriculture in general. Currently, a big downside of the soilless planting method is its expense. For large scale hydroponic farm, lights used to grow plants constitute a big part of the cost. Thereby the prices of Hydroponic gardens grown indoor and those in the northern latitudes with limited sunlight throughout the year from late fall to early spring are much higher. We expect that with the advent of new technology in artificial lights, growing plants will become much more economically applicable. In the space science industry, NASA has considered hydroponic growing method to living and nourishment to astronauts on the space station and on Mars. In a world where scientists are working day by day to solve the matters of food and natural resources in a sustainable and ecological way, Hydroponics still plays a major part in human being's cope to the future survival. My father was growing carnations flowers hydroponically in the late 40s early 50s in New Providence New Jersey. He was a wholesaler to the New York flower market. The business was Shad's Greenhouses. My father passed away July 1953 and the business closed.